Workshops meet once a week, for 3 hours. Actors prepare scene work, solo and in pairings, which they then perform. Their performance is given critique and direction by either Lorinne Vozoff, Artistic Director of TGS, or by Kate Vozoff, the Director-in-Residence. Scene work is assigned by the workshop instructor, in consideration of each actor’s individual strengths and challenges. Everyone gets stage time every workshop. When time permits, workshops might incorporate writing exercises. These exercises deal with your character’s human condition. They can be instrumental in helping you to advance your individual execution of the Method in your craft. Some actors find them to be life-changing. There is a question and answer period each week. Often, there are also brief discussion of current theatre, film and performance art events. Cultural camaraderie frequently develops between TGS members, which is encouraged and supported. This is your art, and your craft. 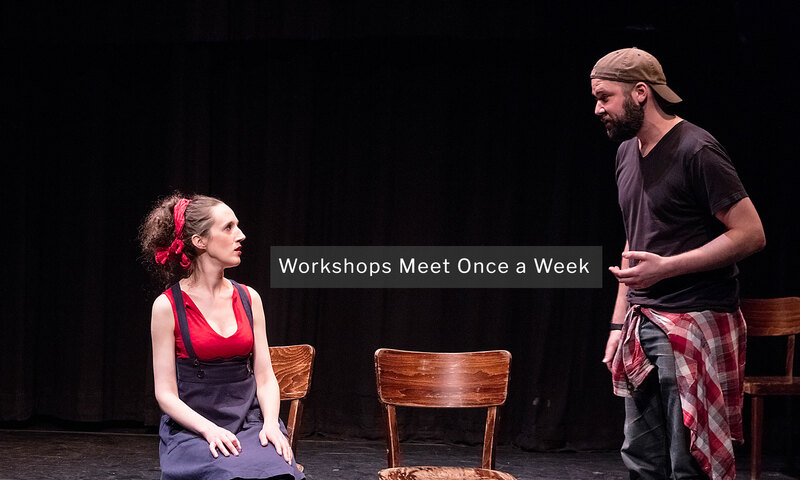 Workshop members are your peers, and your artistic community.